eNLokam: Honda Brio, a reply to Toyota Etios?! If Toyota comes with Etios how can Honda be stood back? Oh, no stay back! 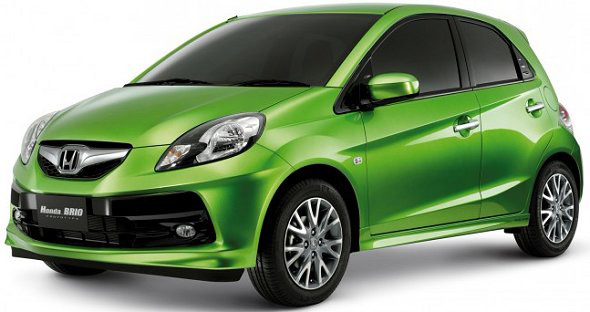 Honda is coming with its small car, may be in the name ‘Brio’. 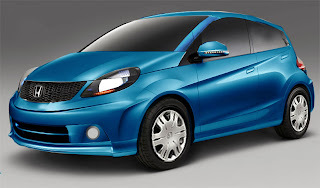 Honda Brio has been unveiled at the 27th International Motor Expo 2010 in Thailand. The small car is supposed to be launched in India before Diwali 2011. In India, the car will likely be priced below Rs 5 lakh, making it a formidable competition between the market leader Maruti Suzuki’s range of small cars and the Toyota Etios hatchback. 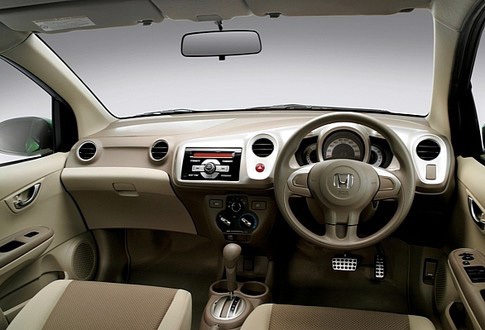 The name “Brio” means “funny small car.” Honda had showcased the small car concept, codenamed CV2, at the Delhi Auto Expo 2010 in January. The Honda Brio could be powered by a three-cylinder 900 cc engine, to offer higher fuel economy. The Brio may be equipped with a 5-speed manual and an automatic transmission option as well. The carhas a futuristic design with rear door handles fixed to the frame just as on the Chevrolet Beat. In the first look the car makes us remember Beat!